Urban Outreach has been selected as a finalist for a national award. The Love Britain + Ireland Awards 2016, run by Christian multi-media broadcaster Premier, are designed to recognise outstanding groups, projects and services that put Christian faith and love into action within our communities. 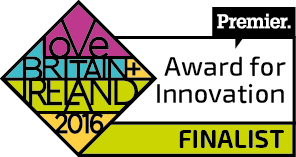 Urban Outreach has been shortlisted in the “Innovation” category. The prize will be awarded to an outstanding project impacting the local the community through creative and innovative expressions of love in action. The person nominating the charity for the award felt that “Urban Outreach has an openness to learning that allows it to adapt to different needs that arise in the community; it’s pre-emptive”. The winners in each of six categories will be revealed at the official awards ceremony to be held at Portcullis House, Westminster, London on the evening of Wednesday 16 March 2016.